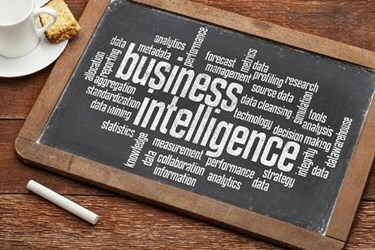 There are hundreds of business intelligence (BI) solutions on the market, but not all of them are well suited to a software-as-a-service (SaaS) environment. Some are intended as standalone products, others designed for on-premises (“on-prem”) deployment, and still others built for use by individual consumers rather than whole businesses. As a SaaS provider, wading through these options is a matter of knowing what key characteristics to look for and why. Below are five features of a BI solution truly built for SaaS. Note that only some of these features pertain to the software itself; the application’s licensing terms can be equally important. Remember to do a thorough and well-rounded evaluation of any application that makes it past the demo phase so that you can vet both its technological and its economic viability. This one might seem like a no-brainer since SaaS applications are by their nature web-based, but it’s worth clarifying exactly what this means. A 100% web-based BI application, in this case, is one that end users may access, in its entirety, with only an internet connection and a web browser. Where the application is served from remains up to the SaaS provider: some prefer to use proprietary servers while others avail themselves of AWS or another cloud computing platform. What matters is that SaaS customers may access both the host application and its analytics suite through the web, without having to download or install any additional software. An embedded BI application must be able to do this in order to deliver on SaaS’s core value proposition: the convenience of the web.